Protecting your child is a top priority and one that parents take seriously. When it comes to protecting your child when they’re playing outdoors, no piece of safety equipment is more important and essential than a helmet. But what do you need to know about helmets? Here’s some safety info that will help you to get the best helmet for your child. Helmets prevent serious brain injury and skull fractures by absorbing the impact energy during a fall or collision. It’s important to realize that, with the exception of some high-end professional football gear, no helmet that’s commonly available has been proven to prevent concussions. If you see a helmet that claims to, then buyer beware. However, preventing skull fractures and brain trauma are causes that are absolutely worth wearing a helmet. Many areas require children to wear helmets during a bike ride or when on a motorized riding toy. It’s not only smart to wear a helmet – it’s the law! Encouraging your child to wear a helmet is an essential part of the outdoor play. There are different helmets that are specifically made for different activities. Because different activities have different risks and associations, there are different kinds of helmets that are tailor-made for each of those likely impacts. Your child should be wearing a helmet that is appropriate for the activity that they are participating in so that they can get the most protection. Most kinds of helmets should align with specific safety standards though only bicycle and motorcycle helmets are required to comply with these standards – the rest are voluntary. However do look for labels that show that a given helmet complies with standards in order to be sure that you’re getting the best helmet for your child, normally found in the interior of the helmet itself. Don’t just rely on the packaging or name of the helmet. There are lots of cute designs out there that might be tempting, but remember that safety is the number one priority here, not style. Helmets with objects that stick out like mohawks or antennae might look cool, but could become stuck or caught in the case of a fall and so are actually detrimental to the safety of a helmet. Look out for helmets that are just toys – this sends the wrong message and could prove dangerous for your child. Some helmets are appropriate for multiple activities – for instance, a helmet that complies with bicycle safety standards is also appropriate for in-line skating and riding a scooter in a recreational capacity. If your child does stunts or tricks, look for a specialized helmet for that activity. Additionally, motorcycle compliant helmets are appropriate for other motorized vehicle riders like ATVs or mini bikes. A note about discounts. Helmets are serious business. While it may be tempting to buy a helmet second hand, it’s not a great idea. You want to be sure that the helmet that your child is wearing hasn’t been wrecked or damaged, which can affect its ability to protect your child. In addition, replace any helmet that was made before 1999, as these helmets do not meet modern safety standards. Additionally, replace helmets after a serious crash, as they no longer provide the protection that’s needed. Getting the right fit is a huge part of safety. Kids grow fast, so it’s important to check the fit of your child’s helmet at the change of each season or whenever they seem to be growing! The helmet should be snug until it’s in place, at which point it should fit tightly but not overly so. A helmet that’s not tight enough could fall off in a crash! Cheek pads should touch the cheeks without pressing uncomfortably. No gaps between the temples and brow pads. Neck rolls (if the helmet has one) shouldn’t push the helmet away from the back of the neck. Full face helmets shouldn’t touch the nose or chin. Straps should be snug but not tight and checked for fit often, adjusting as needed. 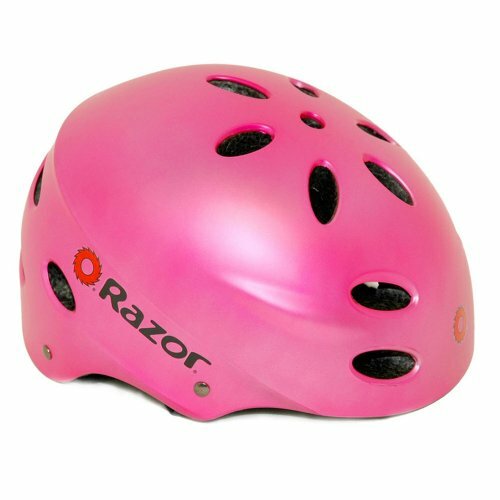 A great helmet that’s right for your child’s activity and that fits well not only gives you peace of mind, it effectively protects your child from injury! Balance Bikes: How to Ride Without Training Wheels?